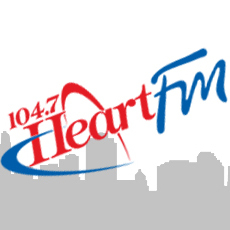 104.7 Heart FM is the most listened to local radio station in Oxford County with a signal that takes us into London and Kitchener. We are looking for an individual to join our exciting team in a part-time capacity. This person will take the duties of Promotions Assistant, in our exciting Promotions and Interactive Media department. This person will also cover events in the Heart FM Community Cruiser on evenings, holidays and weekends. This position will allow the selected candidate to gain valuable experience while having fun! This position could transition into our busier Summer Cruiser portfolio. - Must be open to flexible hours and the ability to be available when requested by the station sometimes even with short notice. - Regular reports to the Promotions Director regarding Community Cruiser planning and events. - Maintain a clean public image, and promote our sponsors and their products in the most positive way possible. - Currently in Broadcasting School, hold a broadcasting diploma or equivalent experience in broadcasting. - A Valid Ontario G License with clean driving abstract – we do require a copy of your drivers abstract in order to be added to our company insurance. - Must enjoy a fast paced, team environment and have the desire to learn new skills. - A positive, friendly person who has no problem meeting with listeners. You can apply directly to connor@1047.ca - please submit your full package.